Drivers who are looking for a sporty new crossover SUV that is a blast to drive have to look no further than the new Nissan Juke. Blending the versatility of a crossover SUV with the style and agility of a sports coupe, Nissan's sport crossover is unlike anything else on the road. If you live near Greensboro, North Carolina, visit Vann York Nissan to test drive the sporty new Nissan Juke. At our full-service Nissan dealership, you can explore a range of 2016 and 2017 Juke models, chat with our Nissan sales specialists and value your trade. In fact, you can do all of that and more while you shop here on our website, too. Find your new Nissan Juke near Greensboro by shopping our online inventory now! At nearly 36 cubic feet of maximum cargo volume and over 85 cubic feet of passenger space, Nissan's new Juke crossover is as versatile as it is sporty. Standard interior features include high-tech amenities like Nissan Intelligent Key with push-button ignition, NissanConnect with Mobile Apps, a Bluetooth hands-free phone system and RearView Monitor. Backing up the sporty and aggressive styling of the Nissan Juke is Nissan's 1.6-liter turbocharged, direct-injected inline 4-cylinder engine. This turbo-four motor propels the 2016 and 2017 Juke crossovers with 188 hp and 177 lb-ft of torque. A torque-vectoring All-Wheel Drive (AWD) system is available to provide added confidence and traction on all road surfaces. Most 2017 and 2016 Juke sport crossovers come equipped with Nissan's smooth Xtronic CVT (continuously variable transmission) with Sport mode. A 6-speed manual gearbox is also offered on some FWD-equipped Juke models. If you live near Greensboro, NC, visit Vann York Nissan to explore a 2017 or 2016 Nissan Juke. Before your visit to our Nissan dealership in High Point, NC, go ahead and get pre-qualified for an auto loan as you shop online for your new Nissan Juke. 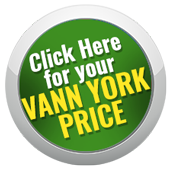 Our dealership and Nissan auto service center are just minutes from Greensboro, so Vann York Nissan is here for you before and after your Nissan purchase with professional auto service and genuine Nissan parts.